Escape to mossy rainforests, sky-high mountains and peaceful coastlines at parks in British Columbia. Campsites in parks across BC provide instant access to nature, and some locations offer guided wildlife watching tours for the chance to spot wildlife – bears, eagles, hawks or even mountain goats – all in their natural environment. 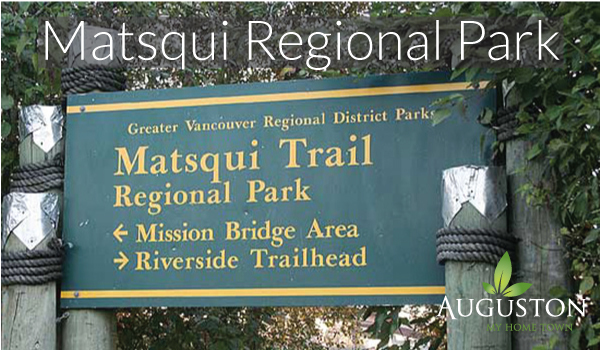 At Auguston we live in the middle of some of the most beautiful and amazing parks in all of British Columbia. Here’s a list of some of our favourites. The highlight of Albert Dyck Memorial Park is its man-made lake created from a former industrial cement-works pit. Specifically designed for wakeboarding and water skiing, the park has hosted numerous national and provincial tournaments. The lake offers visitors swimming, fishing, beach picnics and wildlife viewing, which is usually bird watching. 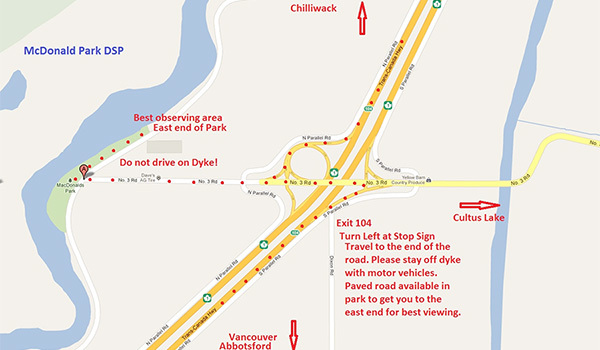 To get to the park, take exit 104 off Hwy 1 heading towards Chilliwack BC, and follow the signs to MacDonald Park. Parking is located at the beginning of the dyke (please don’t drive on the dyke), just beyond the end of the north end of #3 rd. Follow the trail east until you get to the dark night ridge, a spectacular way to look at the stars. 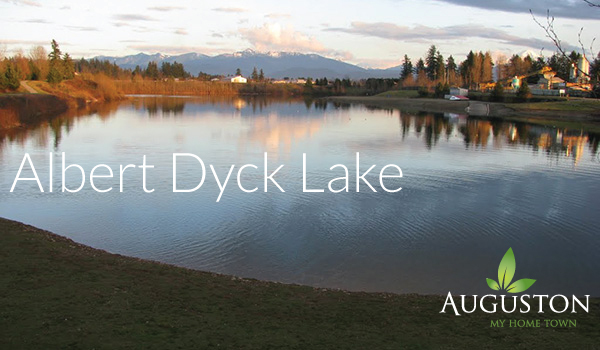 Lying in the heart of Abbotsford near Trethewey House, Mill Lake has something for everyone including quiet picnic areas, playgrounds, sand volleyball courts, an outdoor pool and spray park. An interpretative 2km/1.2mi path and boardwalk circles the lake – the view of Mount Baker is spectacular from here, and there are plenty of ducks, mergansers and geese that make the lake their home. There are no rentals available, but rowboats, canoes and fishing is allowed on the lake. One of the niftiest areas is an outdoor exercise ‘gym’ for seniors with wellness installations such as a stepmaster and Tai Chi wheels geared to balance, cardio strength and maintaining flexibility. Truth be told, though, kids like it too. 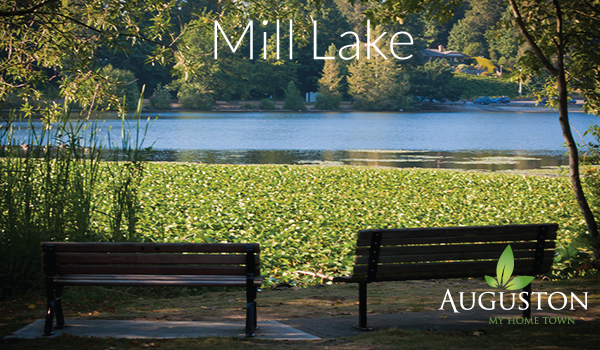 Mill Lake Park is where Art in the Park takes place every summer. Located between the communities of Abbotsford and Chilliwack, this 1,445ha/3,570ac forested mountain is a wilderness jewel in the Fraser Valley, offering a diversity of wildlife and a myriad of recreational opportunities such as hiking, extreme mountain biking and horseback riding. Be aware that mountain bikes, all terrain vehicles, trucks and work vehicles share many trails. 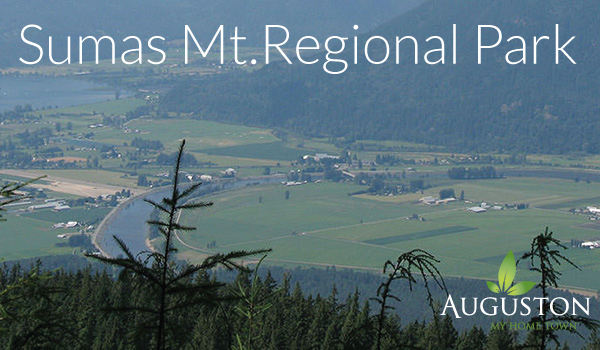 Sumas Mountain Regional Park is also a venue for paragliding and hang-gliding; the mountain provides good ridge flying in winter and early spring, however is seldom flown during summer. To get to the park, take exit 95 off Hwy 1, and follow the signs to Sumas Mountain Regional Park. Parking is located about 4.2km/2.6mi past the lower gate, just outside the upper gate which is locked and managed by BC Hydro. Chadsey Lake trailhead is about 2km/1.3m from the upper gate while Sumas Peak trailhead is approximately 3km/1.8mi away. Bordering the shores of the Fraser River, the lovely shoreline Matsqui Trail Regional Park runs from Glenmore Road to Page Road with a further 11km/6.8mi under development. The park is being planted with native trees and shrubs with open space for meadows. The existing native vegetation along the river will remain untouched and sections of the foreshore will continue to be used for log booming. These are just a few interesting and fun parks to enjoy when you either visit or live in Abbotsford BC. If you’re out in the area, please feel free to drop by our small little community and the outdoor adventures that exist just outside our front door.